If you have the same issue like me, it's Easter and you didn't have time to bake a fancy Easter themed cake, here is some help. 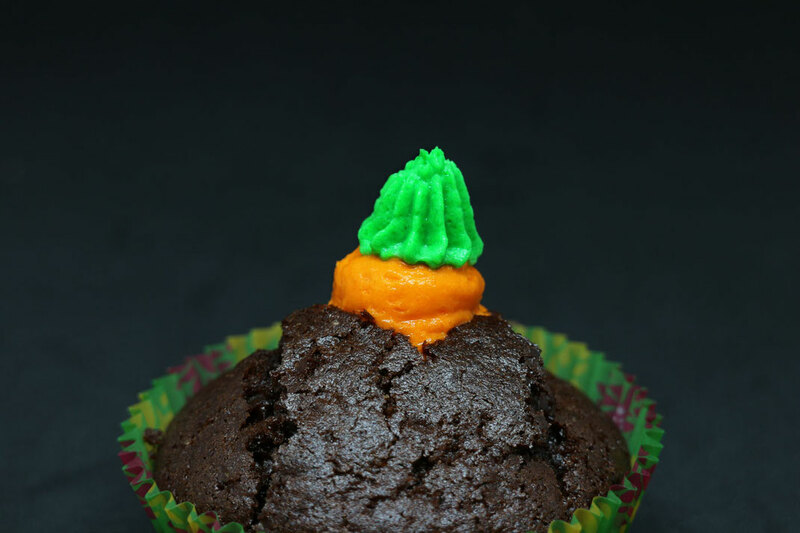 This are super easy carrot cupcakes which you can bake as a last minute Easter treat. 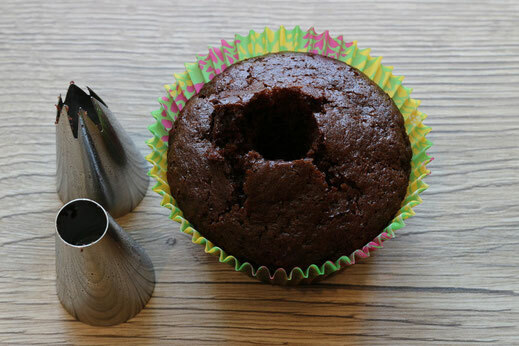 Start with baking some chocolate cupcakes. 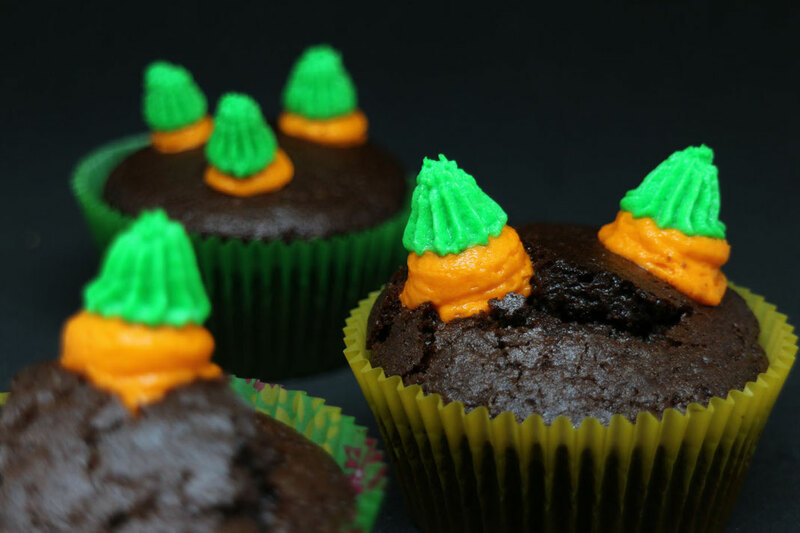 Doesn't matter if they have an uneven look, in fact it gives the cupcakes a nice touch if they have cracks and different shapes, as they represent the field the carrots grow on. 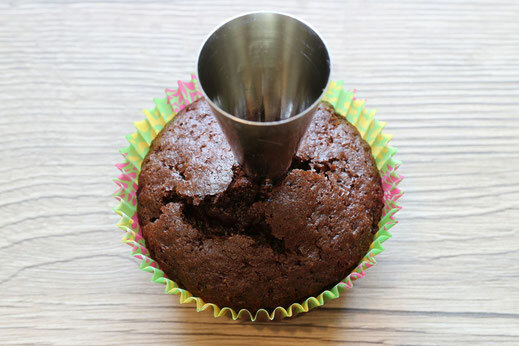 Now take a Wilton tip 1M and 2A to cut an hole (or two, three, ...) into the cupcake. 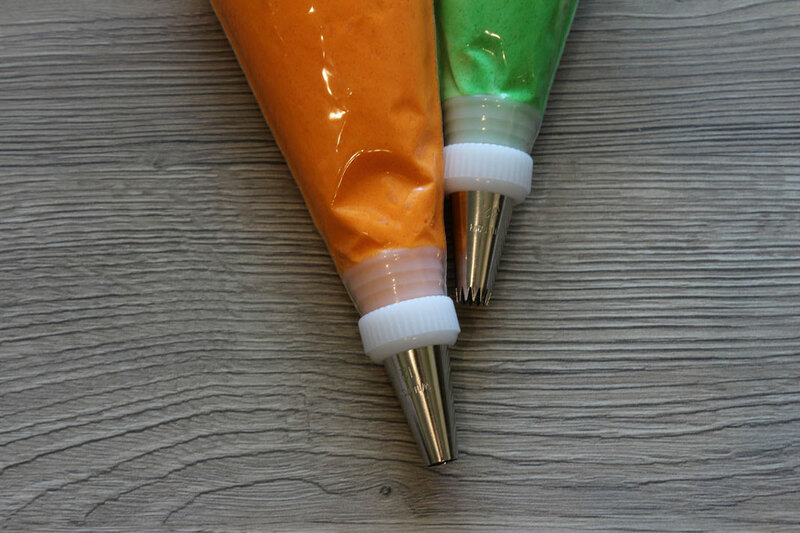 Now you prepare some frosting and dye about 3/4 of it in orange. The rest will get a green color to represent the carrot tops. 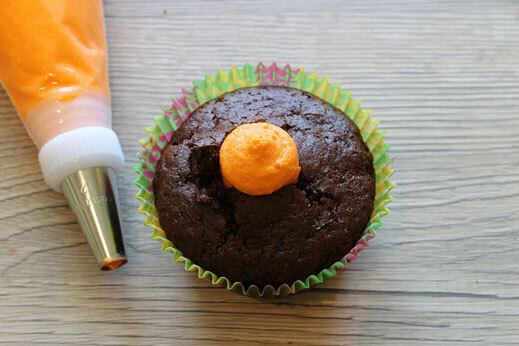 Fill the frosting into two piping bags with a Wilton tip 12 and 32. 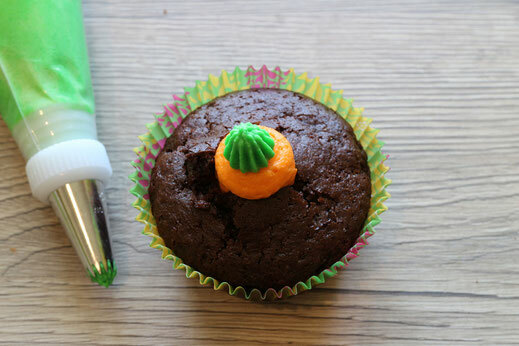 Now it's time to fill the holes in the cupcakes with "carrots" and pipe an additional green spot onto them for the carrot tops. --> Within a few minutes you get a bunch of super cute Easter cupcakes.